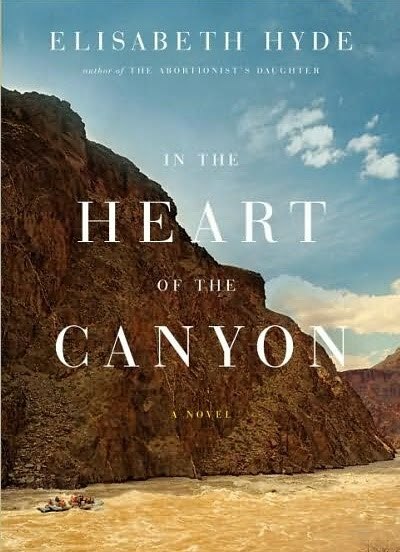 From the author of The Abortionist’s Daughter, a gripping new novel about a rafting trip through the Grand Canyon that changes the lives of everyone on board. Meet Peter, twenty-seven, single, and looking for a quick hookup; Evelyn, a fifty-year-old Harvard professor; and Ruth and Lloyd, river veterans in their seventies. There’s Mitchell, an overeager history buff with no qualms about upstaging the guides with his knowledge. There’s Jill from Salt Lake City, wanting desperately to spark some sense of adventure in her staid Mormon family; and seventeen-year-old Amy, so woefully overweight that she can barely fit into a pup tent, let alone into a life jacket. I almost picked this one up at the library last night but with all of the books that I am reading over the course of this month, I decided to hold off for a bit. What did you find this week?